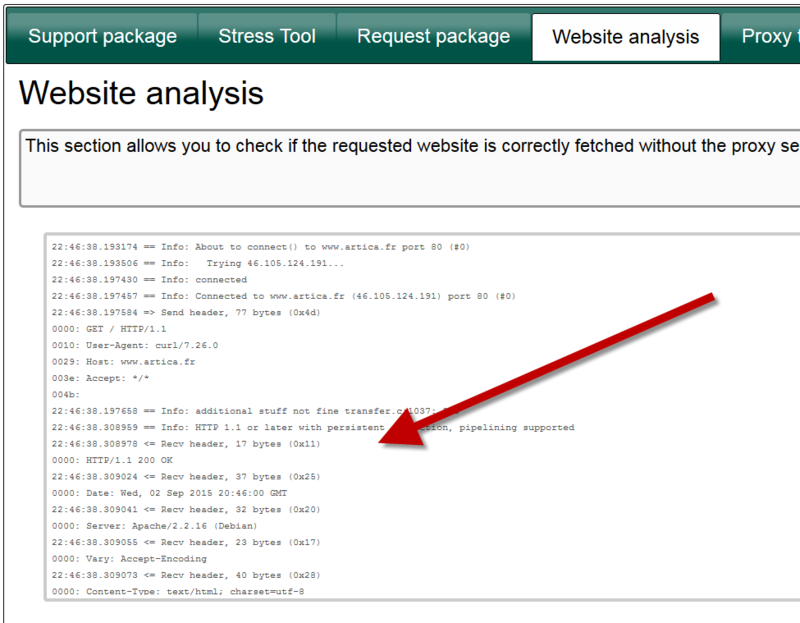 Click on Website analysis tab. Set the the complete URI on the request field. 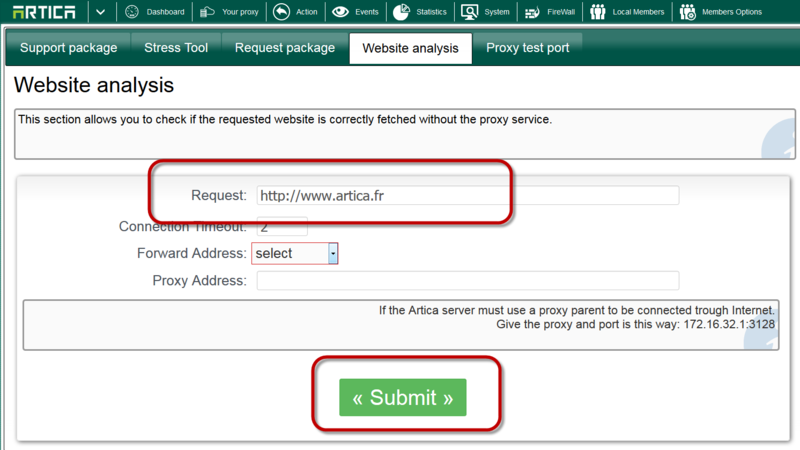 After click on Submit, you will see the request results on the proxy box. 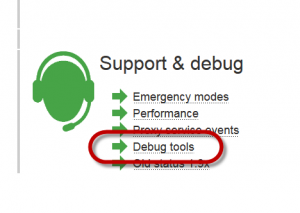 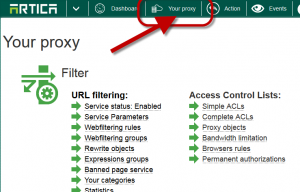 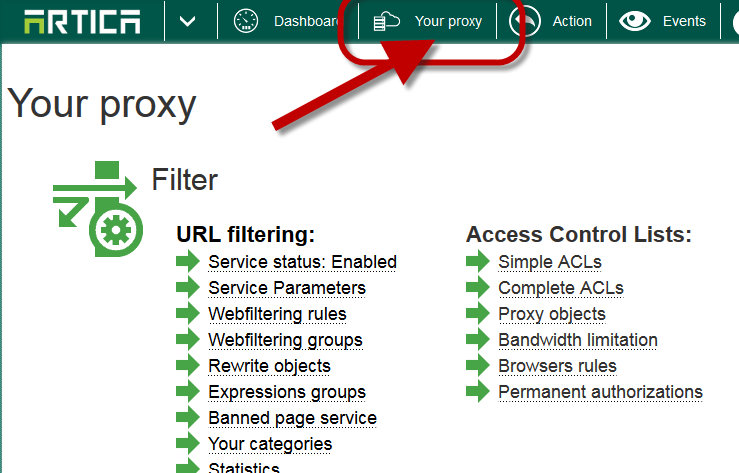 If you see errors, then the connection to the website is a routing issue between the proxy and Internet not between browsers and proxy.